Jay Sykes, received international recognition for his work less than a year after graduating from MA Radio at the University of Sunderland. His radio drama SeaBurn received universal acclaim, winning Best Student Drama Program at the the New York Festivals World’s Best Radio Programs. Here, he shares his insight about why Sunderland is a great place to study radio. "I don't think I'd have achieved anything without having Spark FM." "I ended up winning Gold for the best Student Radio Drama programme in the World." “In the final year of my Radio Masters I made a 43-minute drama, SeaBurn. It was a labour of love for a few months and then I finished my Masters and started teaching. My former lecturer, Richard Berry said that I should enter it into the New York Awards. On a whim I went for it and ended up winning Gold for the Best Student Radio Drama Program in the World, which was just fantastic. And because of the University, I was able to go to New York – they paid for the flight and made it possible. “I love being an Academic Tutor. It means I can pass on the skills I’ve learned on the course to other people. I find it so uplifting that I’m helping the next generation to develop their radio skills. I love being on the other side, I love motivating people. That’s what I’m all about. For any budding filmmaker, receiving recognition from the Royal Television Society is not only acknowledgement of the quality of your work but can also lead you to a career within the industry. Natacha Richardson and Ellie King achieved just this at this year’s awards, triumphing in the Comedy and Entertainment category for their film The Family Food Fight. 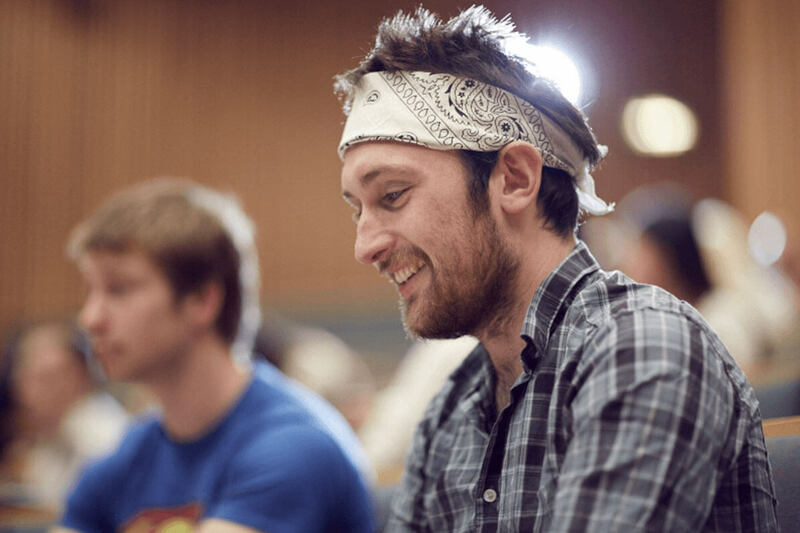 With an array of different options in a fast-growing industry and a whole host of career paths, a degree in Film Production has the potential to not only equip you to find a job in the sector upon graduation, but also hand you the transferable skills that are attractive to employers in a range of sectors. We had a chat with Dr Martin Shingler, Programme Leader for Film and Media Studies to find out how to get the most out of studying Film, Media and Cultural Studies at degree level. For any creative, receiving international recognition for your work is surely the ultimate accolade. Yet for Jay Sykes, it was something that he managed to achieve less than a year after graduating from MA Radio at the University of Sunderland.